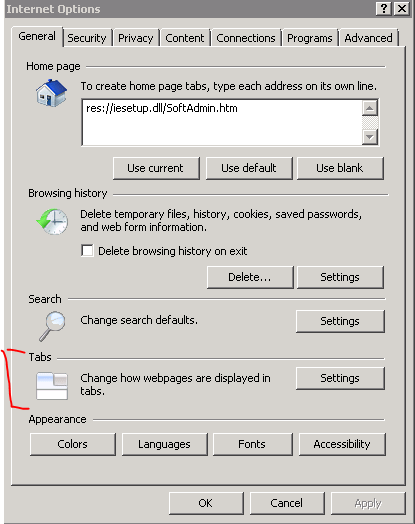 How to open SSRS reports in a new tab? I created a launch page that contains 4 images that behave like buttons. Each image opens a report (by setting the Go to URL property instead of using Go to Report). If you set the Action of the image to use Go to Report, the report will be displayed on the same browser window as its parent. If you set the Action of the image to use Go to URL, the report will be displayed in a new browser window. 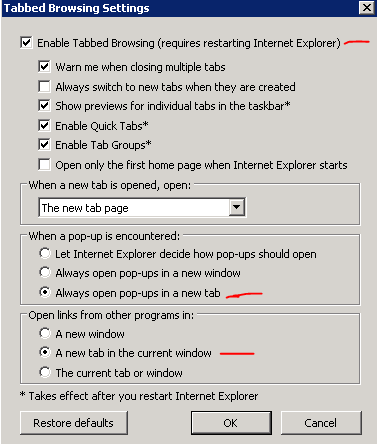 For IE8, it opens pop-ups in new windows by default. For Firefox, it opens pop-ups in new tabs by default.